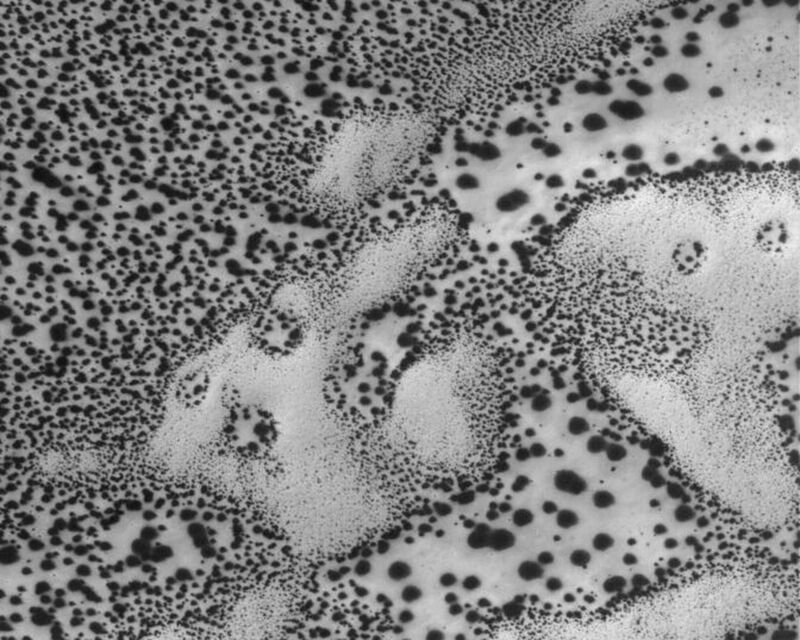 This Mars Global Surveyor (MGS) Mars Orbiter Camera (MOC) image shows dark spots formed in carbon dioxide frost that covers the surfaces of patches of sand in the south polar region. 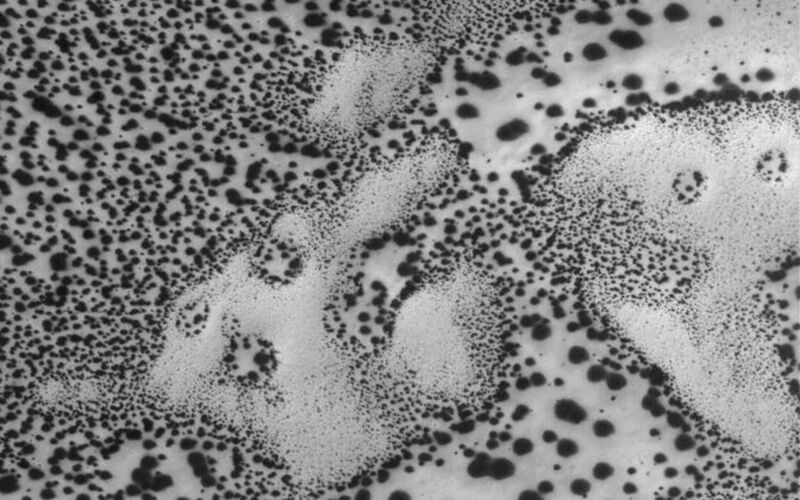 As spring arrived this year in the martian southern hemisphere, so began the annual defrosting process. 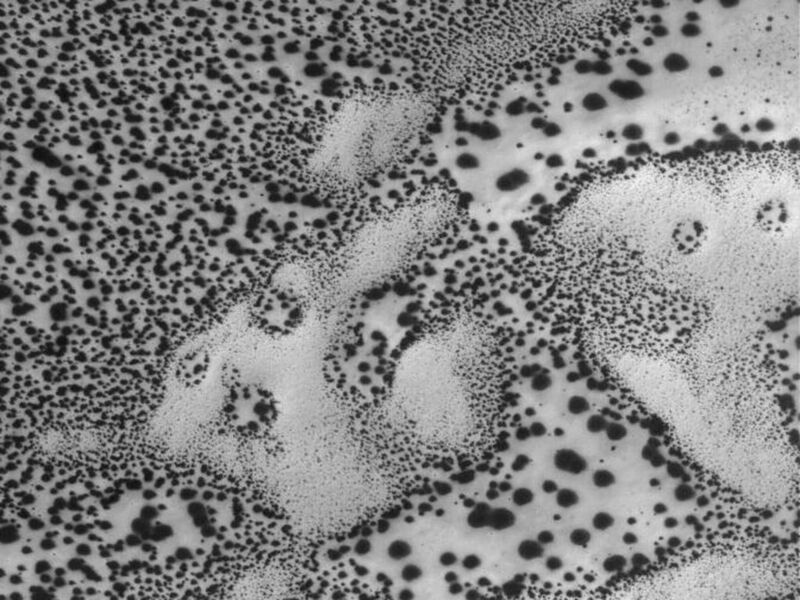 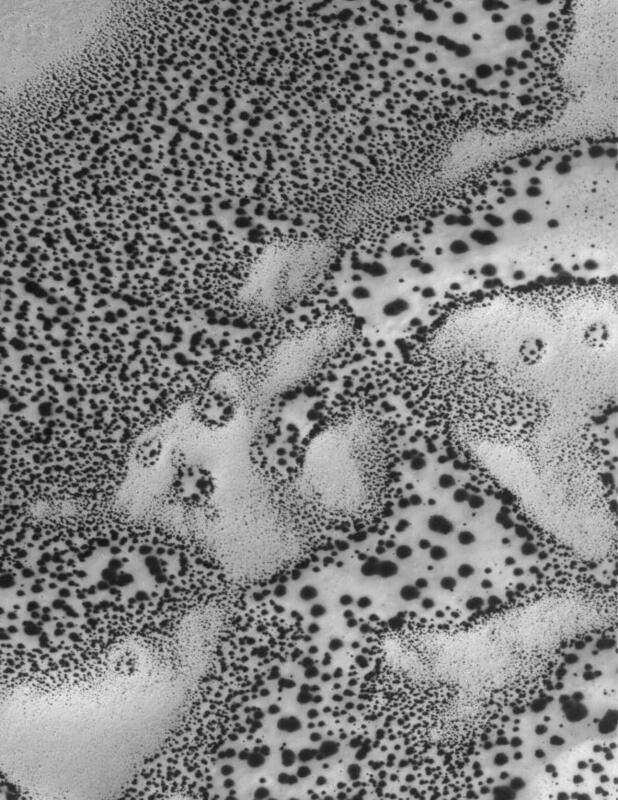 The fact that sand dunes begin to defrost earlier than other surfaces, and that the defrosting process involves the formation of spots like these, has been known since the earliest days of the MGS mission.